Considered one of the greatest and most influential painters and printmakers of all art history, Rembrandt van Rijn stands out as one of the most solitary and unapproachable personalities, who struck his own style and stamped his influence for all posterity. 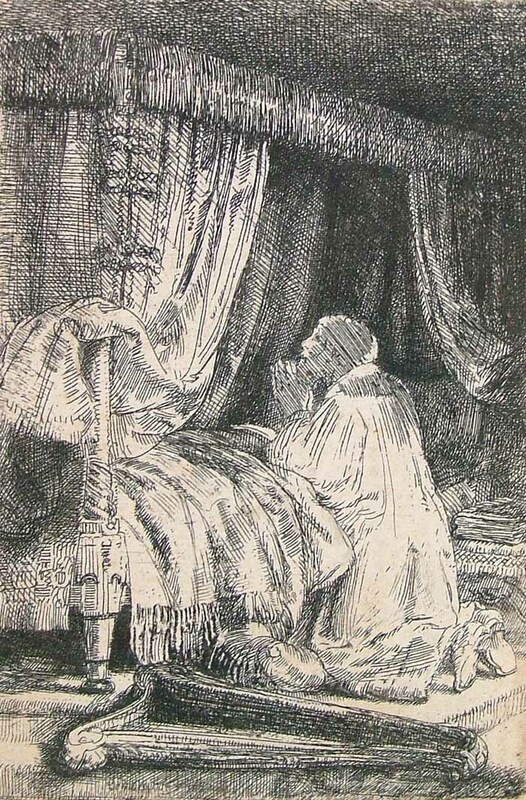 In his etched works, his unique position is realized to even greater advantage than in his painted works; Hardly any etchers, then or since, achieved the same mastery of medium and expression that Rembrandt possessed. In the range of his genius, Rembrandt still stands alone in art history. Whether a landscape, a genre scene, a religious moment, or a still life—he illumined all with his technical and stylistic powers, never failing to pierce to the heart of things. Born in 1606 as the ninth child of a wealthy miller in the town of Leiden, young Rembrandt attended Latin school until 1620 and studied at the University of Leiden. Even at a young age, his interest and ability in the arts was apparent, and he came to study with local artist Jacob van Swanenburgh, working for three years to develop his formative abilities. In the early 1620s, Rembrandt spent a precious six months studying with Pieter Lastman, a great artist in Amsterdam. In 1624, the young Rembrandt opened his own studio in Leiden, and he began accepting students in 1627, including Gerard Dou. 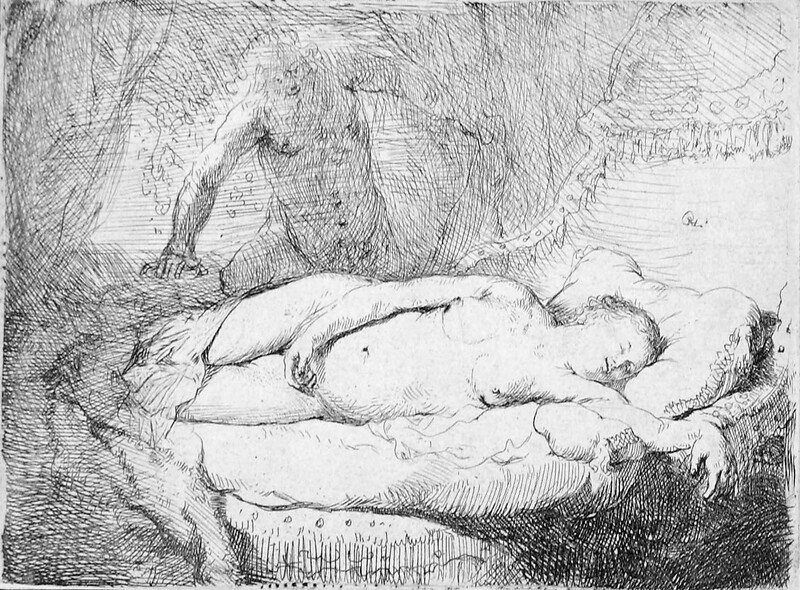 After Saskia’s death, Rembrandt kept other female companions, including Geertje Dircx, who worked as Titus’s nanny, and Hendrickje Stoffels, who began as Remrandt’s maid. Even with small newfound joys, Rembrandt could not escape emotional hardship. Soon after birthing a healthy baby girl, Rembrandt’s faithful companion Hendrickje passed away. Then, just after marrying in 1668, Rembrandt’s song Titus and his young wife both died. The artist was once again all but alone. Throughout his life, Rembrandt lived beyond his means, buying art (including bidding up his own work), prints (often used in his paintings) and rarities, which probably caused a court arrangement to avoid his bankruptcy in 1656 when he sold most of his paintings and a large collection of antiquities. The sale list survives and gives good insight into his collections, which included Old Master paintings and drawings, busts of the Roman Emperors, suits of Japanese armor among and assorted Asian objects, and collections of natural history and minerals.